You're ready to make a big investment into a beautiful new home. But how to start? What should you expect from the process, and your trusted agents? Here's how the Young Platinum Group works with you. "This is a really big deal for me"
Our entire approach to buying a property is developed around your needs and wants. Are you already here, looking to trade up and want a tax advantaged way to make it happen? Are you outside of the Valley today, and want someone to help you jump through the hoops of the peculiar way of doing business in this sector in this place? Are you looking to buy an undervalued property in an excellent location and develop it into your vision of the perfect summer for your family and kids' university options? All of these are made significantly easier by a professional who knows the ropes. The Young Platinum Group has been buying, selling, and developing homes in this area at the highest level for years, and can be your agent to make your dream into reality. "Surely all the features I want co-exist in something available today...right?" 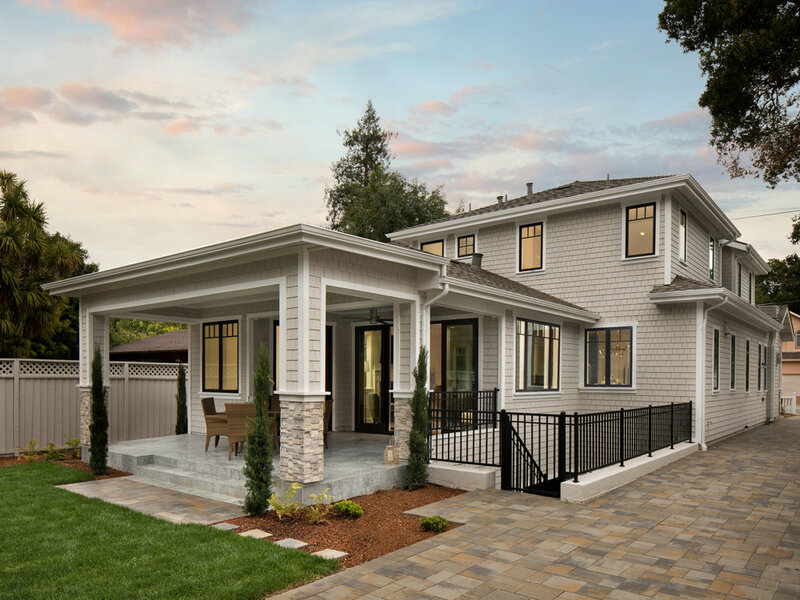 Many people like houses that are spacious, with room for entertaining, space for kids, large showers, modern wiring and plumbing, location convenient to transportation and downtowns (but not TOO close). But what makes you unique is the ratio of these things, and others, that are right for your family. Maybe you are starting the Palo Alto office for your company and need anything reasonably acceptable by a hard date. Maybe you will compromise on location and price, but not at all on a large yard for your kids. Maybe you’d like neighborhood A but Neighborhood B would be OK as long as it has equivalently great schools and parks. We will help you understand how your priorities are available in the local market, and how you can save by giving up on things that others value and you do not. We will show you comparable houses that approximate your ideal house, and then highlight the exceptions that make each one of these transactions unique. The Young Platinum Group will help set your expectations and answer your questions about the way things work in this market. "I'm sure it's a bit more complex than PayPal or WeChat, but surely someone has made this easy by now, right?" Alas, things are a bit more complex. Financing must be in a ready state to deploy - appropriate letters of creditworthiness must be prepared, and funds stored in a way that can be transferred easily to the eventual seller. Trusts and LLCs have their uses, and may be appropriate for you, but both require some work to set up. Young Platinum Group can help you incorporate the right entities, structure transfers at the right time and in the right manner, and coordinate any accountants and assistants who can make it all happen. And we can also advise you how banks and all the players work here, so that you are ready to win when the perfect property presents itself. "I use Zillow all the time. I got this." We will show you places that meet your criteria, or assist you in doing it yourself if you prefer. Depending on your needs, there may be many properties suitable for you right away, or only a few per year. The Young Platinum Group taps the Sotheby’s International Realty network and are part of the Top Agents Network (the top 10% of agents across various brokers). We have extensive personal relationships with the region’s top agents, so there are often off-market properties that might be perfect for you. We work with your schedule to make you aware of the properties that might work for you, and together we hone in on the places you will want to own, at the price that makes sense for you. "It's perfect! How do we get it at the best price?" We will work with you to analyze the other party’s approach. Is the property priced low relative to value, in hopes of creating an auction? Is the property overpriced and so a lowball bid could win and also claim value? Who are the other agents, and what is their known approach to negotiating? Have the other bidders been in the market a long time looking for a deal, or urgently trying to close a deal at any price? This is the kind of intelligence you can get from a top agent. We will advise you about how to approach the offer, and possible counter-offer processes. Sometimes it is the right decision to walk away. But if you want to win smartly, the Young Platinum Group can help with our analytical approach and voluminous knowledge of successful closings in the local high-end market. "They accepted our offer! It's done!" Having great people on your side will certainly minimize the risk of unwanted surprises with the closing process. But odd things do happen. The seller is suddenly not ready to leave, and wants a rent-back period. You change your mind and want a swimming pool, but the property may have protected trees and you need to know in 48 hours whether a pool can be built in the available space. The other party is getting divorced and no longer agree on the deal you signed. High-end deals often have complex situations fitting the complex lives of the principals. We will work with you every step of the way to knock down problems, or find you solutions to the thorny ones.